World War II still casts such a long shadow that I feel we'll never escape it. 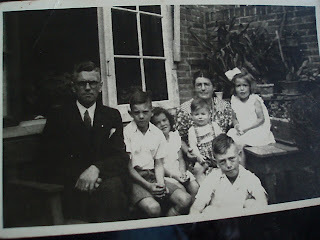 One of the more interesting stories I've worked on recently (as contributor, not author) was the tale of Teun de Groot, whose father was killed by the Nazis. What I wanted to add was one shocking detail of the Nazi behavior toward the occupied Dutch. The Nazis were pissed off that Dutch resistance were assassinating their guys (and collaborators), so they made a rule: for every one of ours that the Dutch resistance kills, we will kill three innocent civilians. Not completely at random, but people who are prominent members of their community known to resent the occupation. They had SS in plainclothes carry these killings out. The idea was not just payback and intimidation, but also to sow dissent and mistrust among the resistance and local population about who was who. 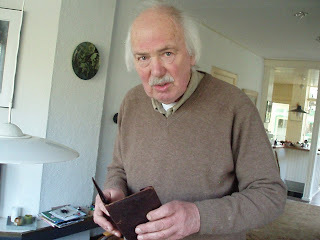 So someone killed a local collaborator called Johan Bouw in the town of Voorschoten, and that proved fatal for Teun de Groot's father _ he was one of two killed in revenge (the third was shot but survived). De Groot told me that local resistance guys told him after the war that they really didn't know who was behind the killing of Bouw _ a poignant detail. It appears to have been an 'ordinary' murder. One thing that didn't come out in the story: although Teun is still hoping his father's killer is brought to justice, he is personally a very charming man, not at all consumed by hate, but full of life and good humor. That story is to be continued, I believe. Another story I worked on (almost a month ago now): Johan Heesters, a 104-year-old Caberet star who drew a protest when he performed in Amersfoort last month: people here never forgave him for continuing to work in Germany throughout the war. He says he was just an artist, above politics. He outlived the people who resented him the most, and so finally he was able to have his 'homecoming' performance. I never heard whether it was as sweet as he imagined it would be. The story would, of course, have been newsworthy if it were just that a 102 year old guy was still performing. What I wondered is, if your entire career has been made in Germany, why do you want to return to the Netherlands for a concert when you don't really have a fan base here and in fact a lot of people hate you? There's a whiff of profiteering on the part of the theater owner, no? 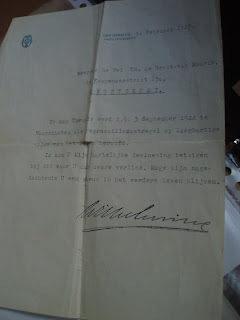 (a letter from Queen Wilhelmina to De Groot's widow). Of course there was the story of Anne Frank's First Love, which AP didn't make a big deal about _ but Reuters sure did. The "support Anne Frank's Tree" project is going to get going in April. I'm bombarded by story proposals about WWII looted art (google: Malevich vs. City of Amsterdam or "Goudstikker"). Bombs and land mines are still being recovered on an almost daily basis, and a couple of allied planes are salvaged every year. I could name several more legitimate story ideas we've passed on, just because of lack of space.